A more secure alternative to bikini bottoms, the neoprene-free Patagonia R1(R) Lite Yulex(R) wetsuit shorts are made of a 1.5mm rubber blend that moves with you as you paddle and kick. A more secure alternative to bikini bottoms, our neoprene-free R1(R) Lite Yulex(R) Shorts are made of 1.5mm 85% natural rubber/15% synthetic rubber by polymer content. Derived from sources that are Forest Stewardship Council(R) certified by the Rainforest Alliance, we blend the natural rubber with chlorine-free synthetic rubber to increase ozone- and UV-resistance and meet our rigorous standards for strength, stretch and durability. The interior lining is stretchy and fast-drying 100% recycled polyester, with 88% recycled polyester/12% spandex on the exterior face. 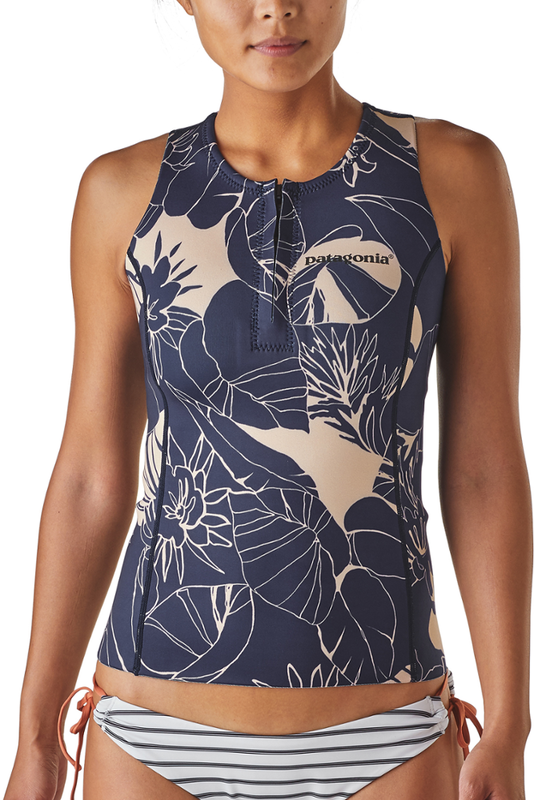 Worn in your usual swimsuit size, the fit conforms to your body for flexibility and comfort while an elasticized waistband keeps the shorts snug and secure. The single back pocket has a handy key loop; seams are sewn with flatlock construction for next-to-skin comfort. Made in a Fair Trade Certified(TM) facility. Suggested water temperatures: 65-75deg F/18-23deg C.